We are a small family breeder. We raise Loving, Great with Children (we have 3 kids) , Healthy, Chunky Ragdolls. Kittens are raised underfoot. Beautiful Colors: Mink, Sepia, Blue & Seal kittens Patterns: Mitted, Lynx, Bi Color & Colorpoint. Location: Wilmington NC near Wrightsville Beach, NC). Vaccinations & health guarantee. TICA registered. 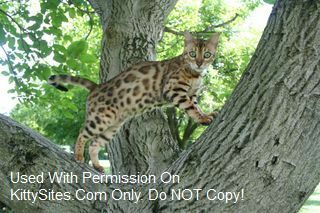 We breed beautiful Bengal Cats, hoping to give family’s a beautiful, healthy, loving pet. 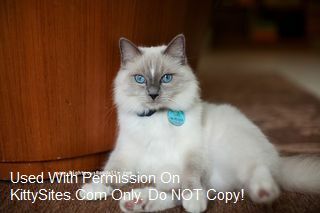 We occasionally have Show/Breeders but only sell Breeders to approved TICA registered Catteries/Homes. We are just starting a new line of Silver Bengals! Hopefully we will have Silver kittens beginning early 2014. Feel free to browse my site and I hope you enjoy seeing my cats. We encourage visits to my home and Cattier, please call or email for an appointment. Please feel free to call with any questions about my cats or the breed in general. 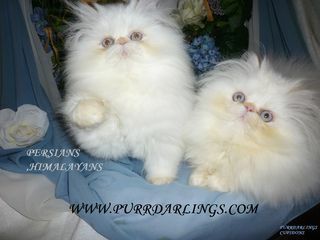 CFA registered ,Persians & Himalayans small cattery , we work with national and international champion bloodlines. Parents are PKD DNA, Felv /Fiv Neg. Our Delightful kittens have Wonderful personalities and such Sweet faces. They are raised in our home underfoot with lots of loving and lap time. From our home in North Carolina to yours. We raise family friendly , loving Russian Blues in home a environment. Our King and Queen are from Champion imported lines from Russia. We have three small dogs, 3 medium children and lots of fun. Our kittens are well socialized and used to family life. We are registered with TICA. Text or Email is best !